Look over our list below. If there is one that suits your needs make sure to make an offer on it immediately. Good domains don't last long. Ready to make a serious an offer? Simply click on 'Make an Offer' by your perfect domain, and then click submit. We'll get right back to you. Want to grab the domain right away? Click on the PayPal Payment Button. You'll be taken to PayPal to make your online payment. already taken. So rather than the registrar setting the price, it's the current owner that sets their price. The asking price is based on the level of desirability. What makes a Domain Desirable? it was the original and only extension available at the beginning. It's also the first to be taken in most cases. Dot coms are also the first extension visitors think of when seeking something online. So you want dot com when given the option. That said, when the dot com version of a name is not available, you shouldn't let that stop you from getting other types of extensions (ie. .net or .us). This is especially true if it's the actual name of your business, it's a single word, or keywords for your business or website. Having several domains pointing to your site can only help with search engine rankings. Other 'desirability' factors include things like 'amount of characters' (shorter is better; under 15 is best),' hyphen or no-hyphen' (none is better), 'length of time already registered' (longer is better) and how many other types of extensions have been registered of the same name (the more taken the better). These are generic factors. But please remember, the most important domain to you... is the one that says 'Your Company'. Everything after that is gravy. a few factors. One is how it rolls off the tongue. Is it pleasant or harsh? Will people remember it easily? Does it 'sound' like a business that your potential customers would like? We offer some wonderful names that would work very well as a company name. Please make sure to do your own research when finding a name for your business. The last thing you want to do is to choose a name and purchase a domain only to find out that there is another company that is already using it. They may even have trademarked the name for the same kind of business as yours. Do your research. domain immediately simply click the Buy Now button. You'll be taken to PayPal where you can safely make your payment. your domain choice. You'll be taken to a form that you can fill out. Once received we'll get back to you with one of three responses. We'll either accept, decline, or give you a counter-offer. It never hurts to try to make your own offer. But please remember that if someone comes along while we're negotiating and purchases the name, the domain will be instantly removed from stock and will no longer be available to you. What happens after I Purchase the Domain? you to let you know that you can now begin the Domain Transfer process. would be our domain being transferred into an account that you already have, or wish to open. How do we Start the Transfer Process? 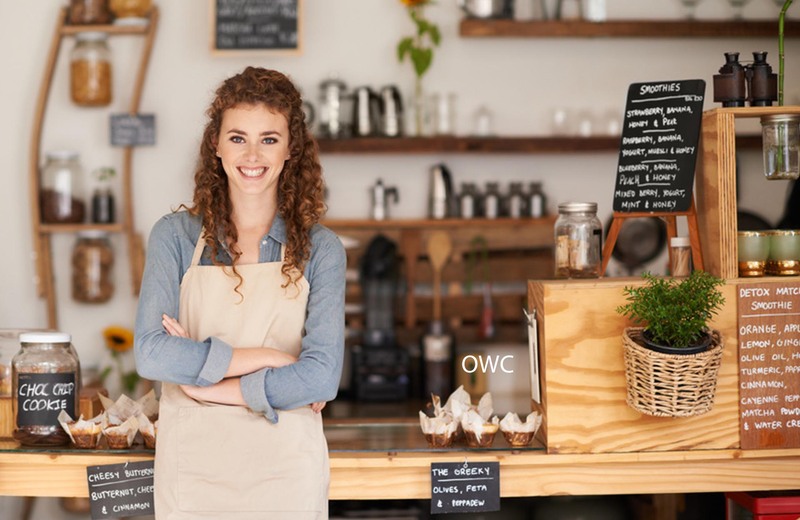 be registered with us, Organic Web Care, simply open an account or login to your present OWC account, then choose to Transfer a Domain (this will also give you an extra year of registration). Simply type the domain name into the Transfer Domain box (located at the bottom of every page or accessed from the top menu) to get the wheels in motion. Eventually you'll be asked for an Authorization Code (which we will give you). On our end we will be unlocking the domain from our account and answering emails related to the transfer. Ultimately this will allow the domain to be transferred into your account. These are all safety measures put in place to protect domain owners... it's a good thing! Different registrars have slightly different emails, but after the appropriate steps have been taken, the domain will safely be placed into your account. From then on you may access and use the name however you wish. The transfer process can take from just a few hours to a few days, depending on how quickly the buyer and seller takes each step. We will be more than happy to help you with every step of the way. We've sold many domains and will do our best to make this experience as easy as possible. What if I Change my Mind after I Purchase the Domain? 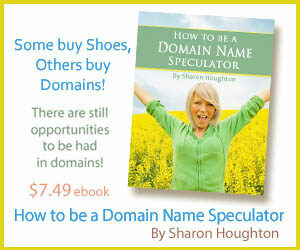 make absolutely sure that you want the domain that you are buying. for awesome products and exceptional customer service. We believe in owning great domains. In fact, we're passionate about it! Having a great domain can be even better than money in the bank since their value can grow exponentially if chosen well. We believe in domains as both an investment and an effective marketing tool. We also have a solid system in place to offer you other internet tools for your domain such as web hosting, email, and marketing plans. It's one-stop shopping here at Organic Web Care. We have everything you need for online success. A great domain name... is a memorable domain. Having domains that are generic key words will help to raise your search engine rankings. Be 'domain smart'. There is only ONE of each domain. Can you imagine what these domains will cost in the future? The sky's the limit for great domains. Act quickly before everyone catches on to the importance of owning great business and generic domains. Great domains are like money in the bank. We offer names that have been registered in many cases for over a decade. Looking for a name for your business? We have many that will work wonders as a business name. Be smart... act now.